It’s Record Store Day 2018 and music lovers all over the world will be flocking to their local store to get their hands on rare vinyl and new releases. 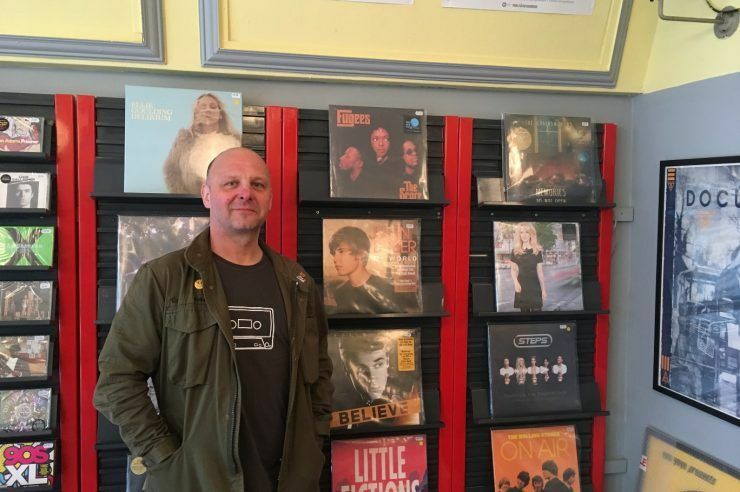 Paisley’s Feel The Groove is taking part in this year’s Record Store Day and the Causeyside Street favourite will be stocking hundreds of new releases to mark the day. The town has a rich musical heritage with a host of top names and iconic songs holding close connections to Paisley. 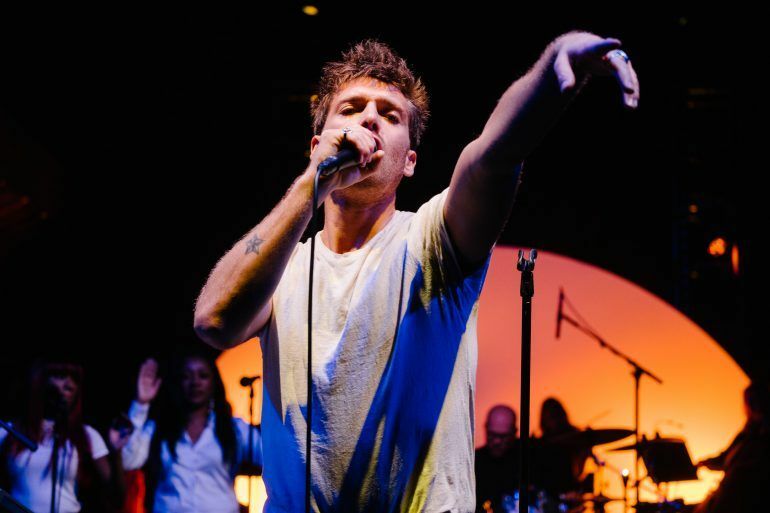 The iconic saxophone solo in Gerry Rafferty’s Baker Street instantly comes to mind when you think of Paisley and music, but the town’s thriving rock and pop scene has seen a host of newer acts emerge in recent times – including a certain Paolo Nutini. 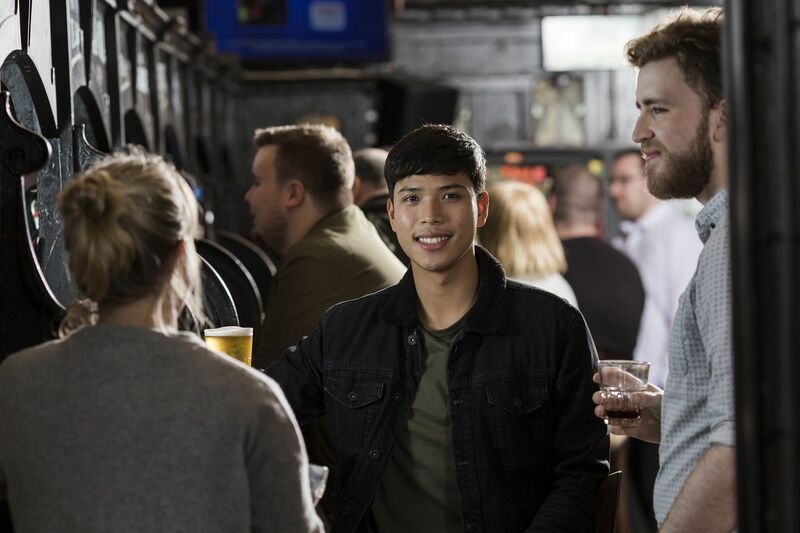 From Rafferty to Nutini and Kellie Marie to The Vegan Leather, we’ve pulled together a Paisley music playlist that will definitely get your feet tapping. Who doesn’t love that saxophone solo? Widely considered as one of the greatest rock songs of all time, Baker Street was written by Paisley singer-songwriter Gerry Rafferty for his second solo album, City to City, in 1978. The song is inspired by Rafferty’s travels between his family home in Paisley and London, where he regularly stayed at a flat on Baker Street. The first single from Paolo Nutini’s acclaimed debut album These Streets, in 2006. Last Request was an instant hit and took the revered Paisley son to No. 5 in the UK Singles Chart. Paolo celebrated a musical return to Paisley last year, with a special homecoming charity gig in the stunning setting of the town’s 850-year-old Abbey. An absolute classic! Stuck in the Middle… was written by Gerry Rafferty and fellow Paisley Buddie, Joe Egan, and was originally performed by their band Stealers Wheel. Released way back in 1973, the single gained chart success in the UK and internationally and is often heard in film and TV shows today. Try not to dance, we dare you. Paisley girl Kelly Marie’s floor filler, Feels Like I’m in Love, was a smash hit in the club scene before going on to top the UK Singles Chart in September 1980. Written by Ray Dorset of British rock group Mungo Jerry, the song was originally intended for Elvis Presley but he died before it could be pitched to him. Paisley’s David Sneddon shot to fame after winning the first series of BBC music competition Fame Academy in 2002. The singer-songwriter would then go on to release his first single, Stop Living the Lie, in 2003. The song instantly went to No.1, selling over 250,000 copies. 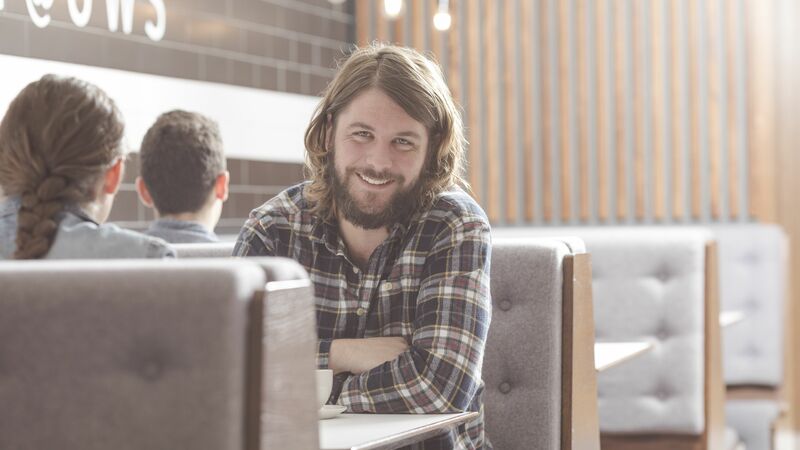 The singer would step away from life as a pop star, instead focusing on his work as a songwriter, penning songs for top names including Lana Del Rey and Newton Faulkner. The 18-year-old rising star took to the Paisley streets where she honed her craft for her first music video, Hearts of Gold. The song finds Lisa reminiscing about her experiences of busking in the town since she was 14. It’s been a big 12 months for the Paisley singer as she reached the final of Salute Music UK competition and performed in New York as part of the famous Tartan Day 2018 celebrations. Grab your dancing shoes and get your hips shaking with another top tune from Paisley. Since forming in 2014, The Vegan Leather have been making waves in the Scottish scene with their blend of eclectic art pop. This year is set to be even bigger and better for the disco-synth quartet – definitely one to keep an eye on. Join Hellfire and Meadows for a trip down memory lane. 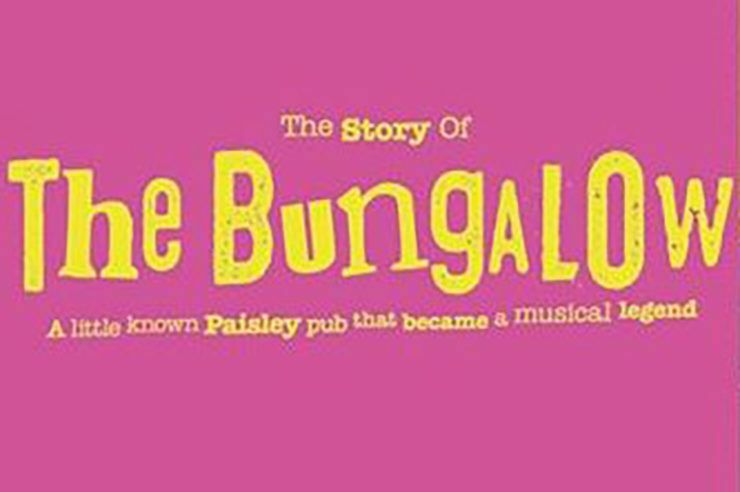 Released as part of a special album of originally recorded songs to mark Paisley’s bid to be UK City of Culture 2021, The Bungalow Bar harks back to Paisley’s punk past and the town’s iconic music venue where top bands including The Skids, Simple Minds and Aztec Camera performed in the 1970s and 80s. Another one to look out for – local band Dogtooth have captured the imagination of audiences across the country with their brand of energetic indie-Mod belters. Dogtooth were also among the 12 bands to appear on the special Paisley 2021 album and you can hear their amazing single Rebel above. And finally, another great way to see emerging local talent is with the fantastic Paisley Music TV. 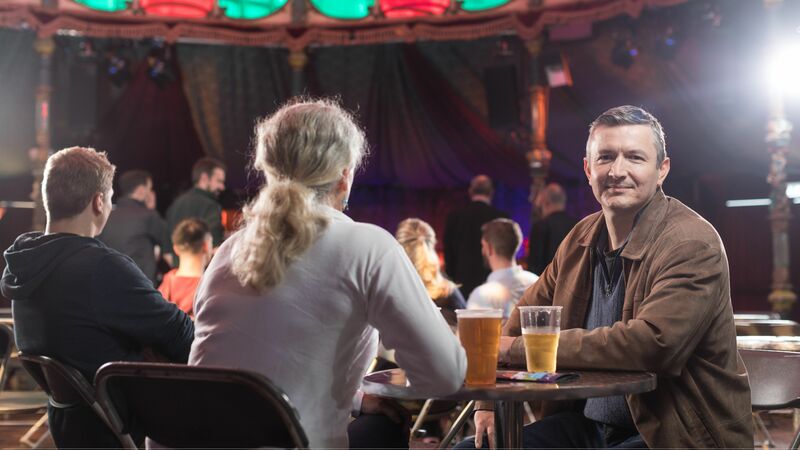 The new project – by Create Paisley and funded by Renfrewshire’s Culture, Heritage and Events Fund – shows local musicians performing live at iconic Paisley locations, including the Town Hall and Coats Memorial Church. Created by young people, the videos showcase the diverse range of talent in the area’s thriving music scene. Take a look at this video from PMTV’s first session with Johnny Barr (ft. Calum Ingram, Shaun Moore) and his song You Let Go. Watch the Paisley Playlist in full on our new YouTube account!